The clock tower of King Street Station Seattle looms overhead. You can see it from the distance. I love little reminders of the past. Here a man might look up, run towards the station so he doesn’t miss his train. No phone beeping a calendar appointment…no timer…no app…to let him know that train is late or early. Just a clock high up in the cloudy sky quietly marking time. 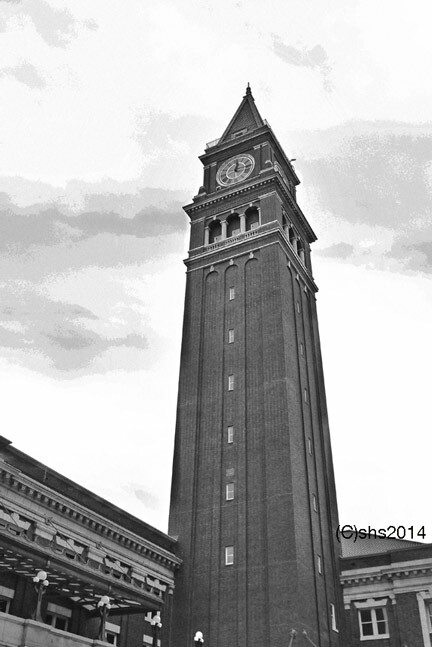 Gallery | This entry was posted in Memories and musings and tagged black and white photographs, Black and White photography, Clock Towers, King Street Station, Seattle, Seattle Washington, Train station, USA. Bookmark the permalink.